1)Some pool replastering companies will charge a premium during the peak season because there is an over abundance of work. 2)During the slower season the workers have more time to do jobs such as demolition.During peak times with lots of jobs on schedule, details such as demolition may have to be rushed due to high demand. 3)Plaster cures better on a cooler day than hot day.The plasterers usually start early in the day(unless more than one job is scheduled for the day), and begin filling pool with water as soon as plaster is finished, but it can take hours to fill a swimming pool with water depending on the size of pool and your water pressure.Those hours can mean the hot summer sun beating down on the plaster drying it out too fast.This can lead to cracks in plaster later. 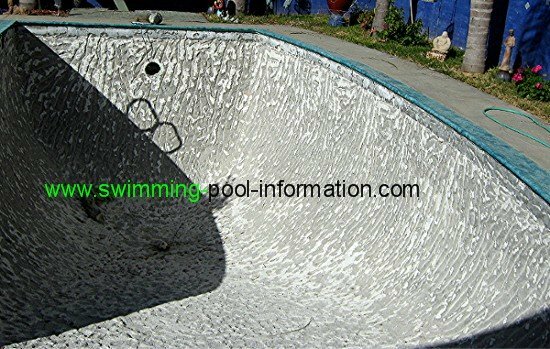 However, if you do wait until summer to replaster (its only human to start thinking about the cool pool when you start sweating), the plaster installer may tell you to put a slight (VERY SLIGHT) mist on the exposed plaster untill the pool is filled. 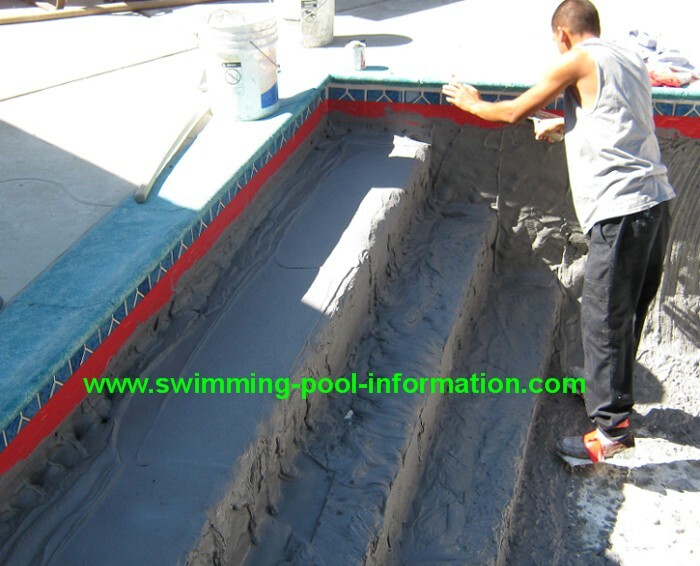 So, do not wait until May to get your pool replastered IF possible! Above is a photo of a proper pool demolition. Note how the old plaster has been removed down to the gunite, resulting in a good mechanical bond for the new plaster. Some plaster companies just rough up the surface of the old plaster and put a few divots in the surface. Below, they are starting to apply plaster. Above is the final product - smooth dark gray plaster and new tiles. 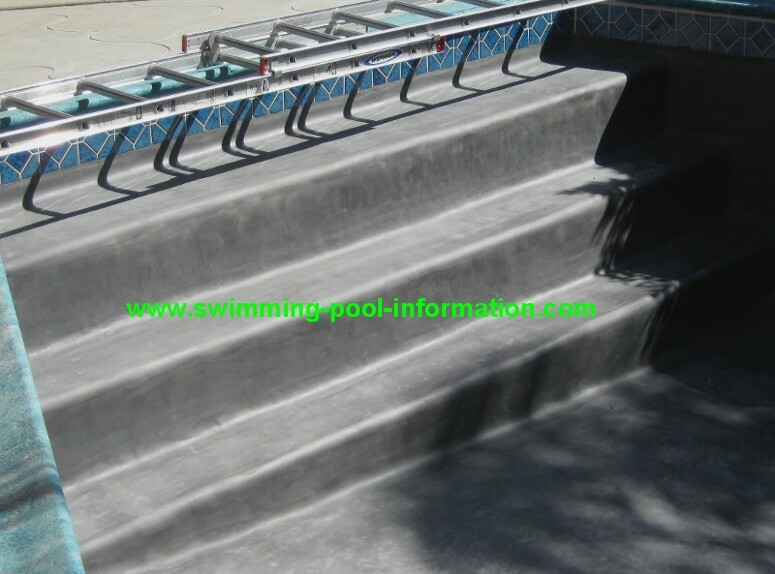 The dark gray not only gives the pool a natural look, but helps draw in solar heat. Another thing I would like to say is when it comes time for the start up - using a pool serviceman that works for or is recommended by the replasterer is a good idea - even if you already have a pool man. That way, in the rare chance a problem with plaster occurs, the replaster company cannot blame it on your pool man.